GSMArena team, 11 May 2012. 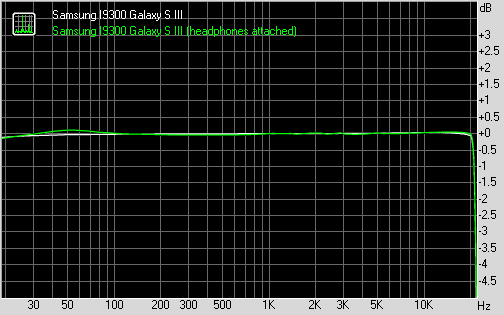 We put the Samsung I9300 Galaxy S III and the HTC One X side by side in our loudspeaker performance test. The Galaxy S III comes on top with a better all-round mark (Good) while the One X got an Average rating. 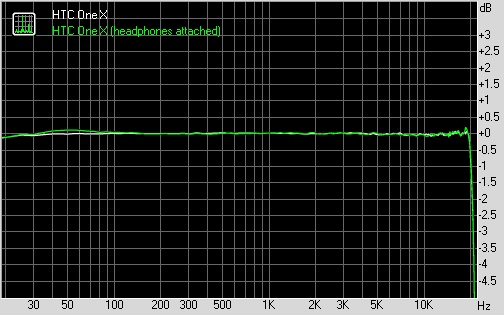 In voice output the Galaxy S III is way ahead and it's slightly louder when reproducing pink noise, too. Keep in mind that if you're using ringtones, which resemble an old-fashioned phone ringer, the One X and Galaxy S III are almost on par. You can find all the information about how and what we test in our loudspeaker performance test page. The Samsung I9300 Galaxy s III turned out to be one of the most talented musicians around and managed to edge out the One X in the audio quality test. The two have almost identical volume levels when connected to active external amplifiers, but the Galaxy S III has much cleaner output with no weak points whatsoever. The One X on the other hand has higher than average distortion levels, which is rare to be seen in a high-end smartphone. Things were a bit closer when we plugged in a pair of headphones. The Galaxy S III still got the better results on most parts of the test, but at least the One X managed to score a point with its lower stereo crosstalk. It's not enough to prevent this round from going in favor of the Samsung flagship though.